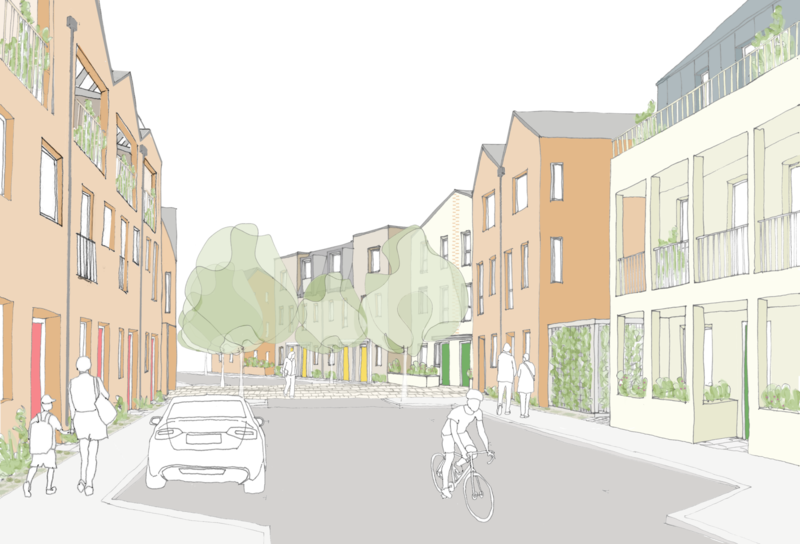 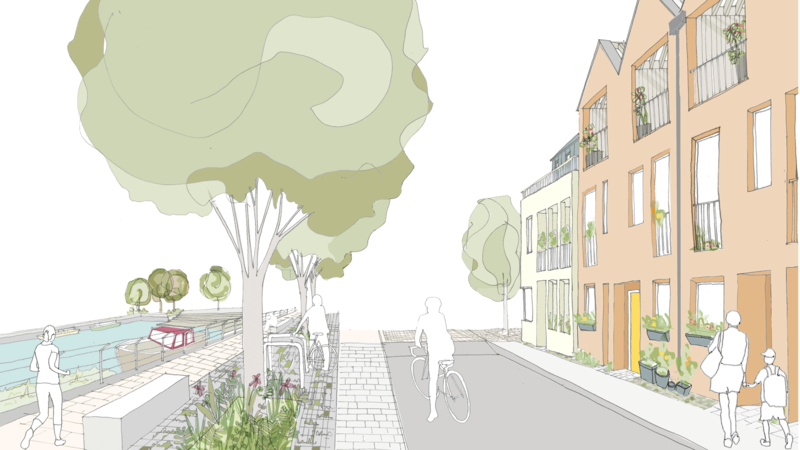 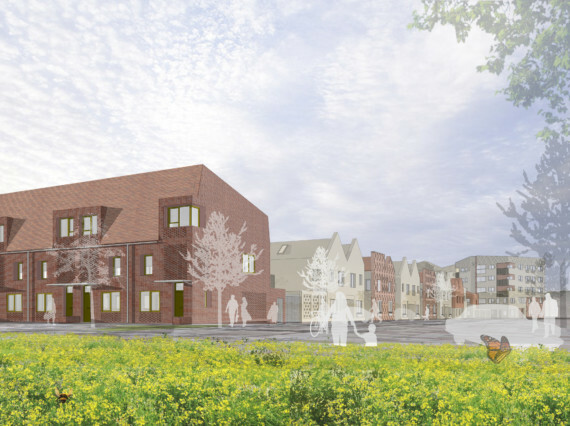 Building on the principles set out in the urbed masterplan for the area around the Trent River Basin in Nottingham, thirty-three family homes form a new street that connects to the Basin front, where a generous public realm prioritises cycling and pedestrians over cars. 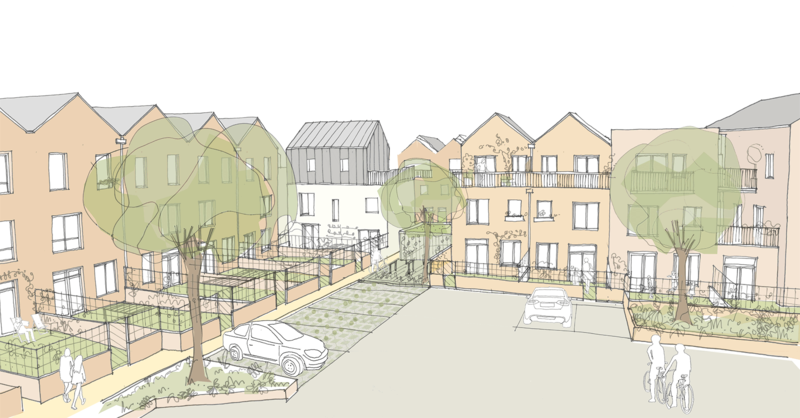 The scheme incorporates a community energy centre, Project SCENe (Sustainable Community Energy Networks), which will lower the cost energy for homeowners and distribute renewables more efficiently to reduce overall carbon emissions. 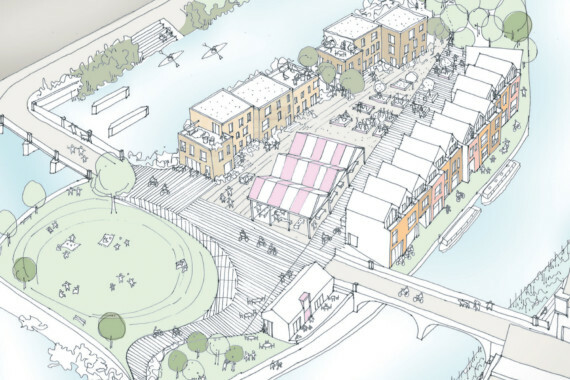 Trent Basin Phase 3 was granted Reserved Matters Planning Approval in March 2018. 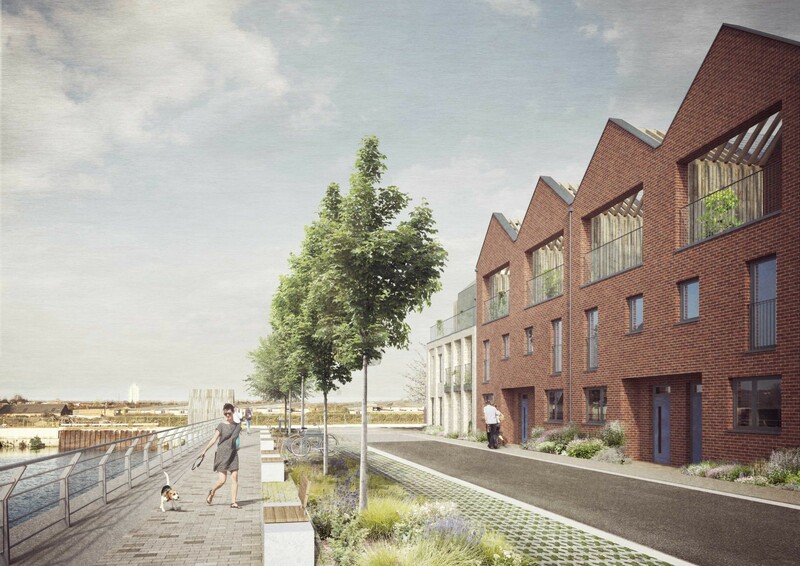 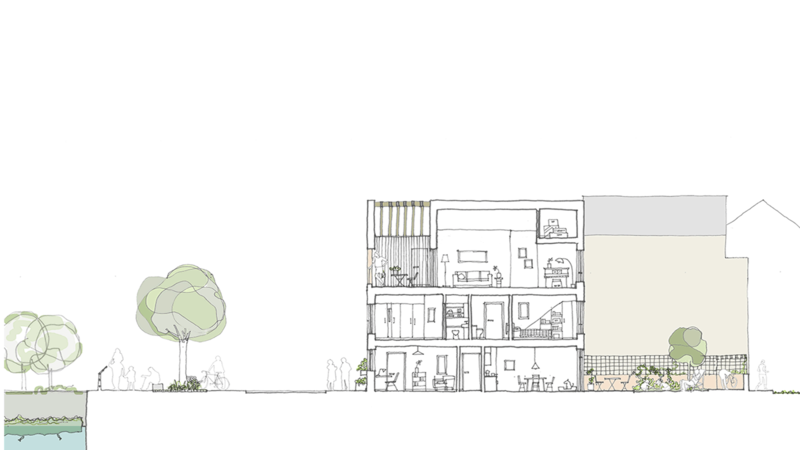 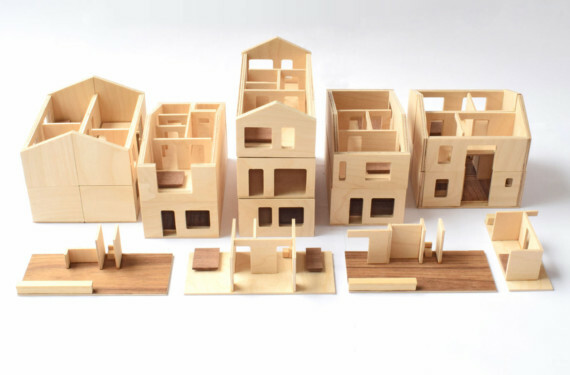 Three typologies draw inspiration from the industrial heritage of the wider area and their immediate context while incorporating generous terraces that take advantage of waterside views. 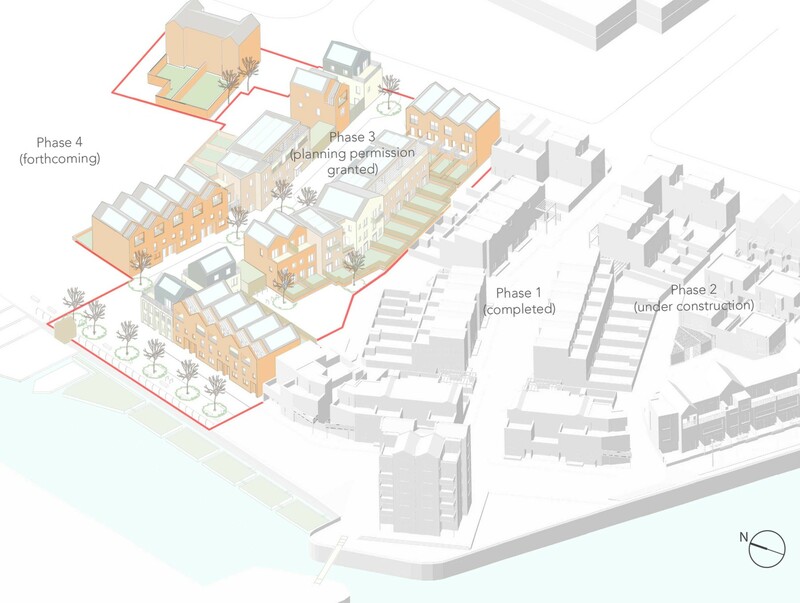 On the basin front and at the waterside end of the new street, a common frontage forms terraces with repeated pitched roofs that take their form from red brick factory style buildings of the wider area. 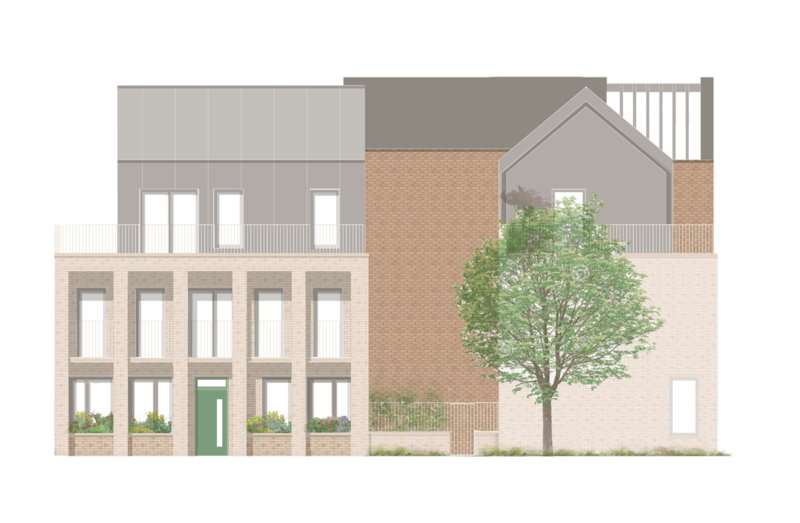 ‘Corner houses’, have wider frontages and more elaborate detailing to reflect their prominent location at the river basin and mark the end of the street. 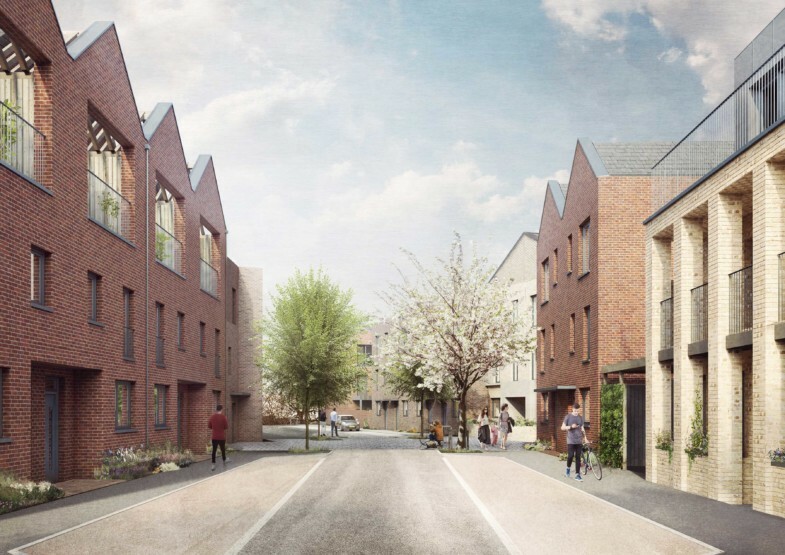 The new street widens at its centre where two feature buildings, paving and tree planting, form a new civic area at the heart of the new development.